When you think on-trend outfits, sleek LBDs or pop-color jumpsuits might come to mind—and with good reason. Primary hues and all-black-everything are two definitive ways to make a statement. This season, however, brown is the new black, and we’re showing you how to wear it. The irresistible color comes in a stylish spectrum of warm and toasty shades, ranging from golden sienna to burnt terracotta. 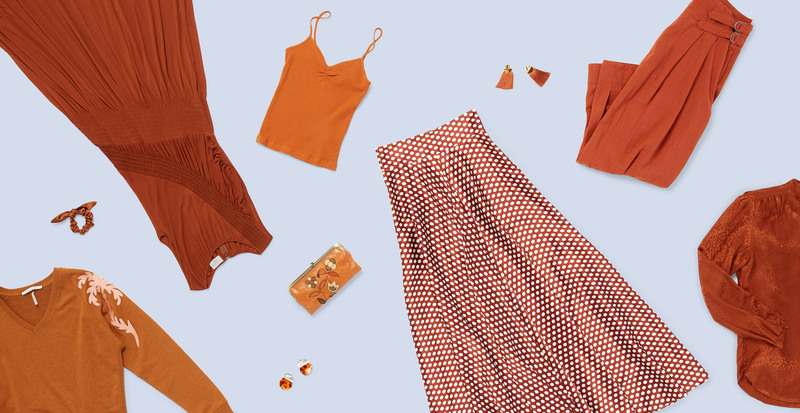 Below, we’ve broken down three distinct ways to wear this flattering hue that will give your summer-to-fall wardrobe a little more depth. Embrace the newest version of boho-cool. The earthen warmth of brown is the perfect way to explore this trend. Try casual, yet elevated pieces like a knit tank (perfect for layering) or soft-tailored pleated trousers. Feel free to work more subtle accessories into the mix, like a leather crossbody or silk hair tie. A hint of ‘70s retro inspiration always finds its way into glam looks. This roundup is no exception. Go for length, movement, and drama when it's time to dress to the nines. 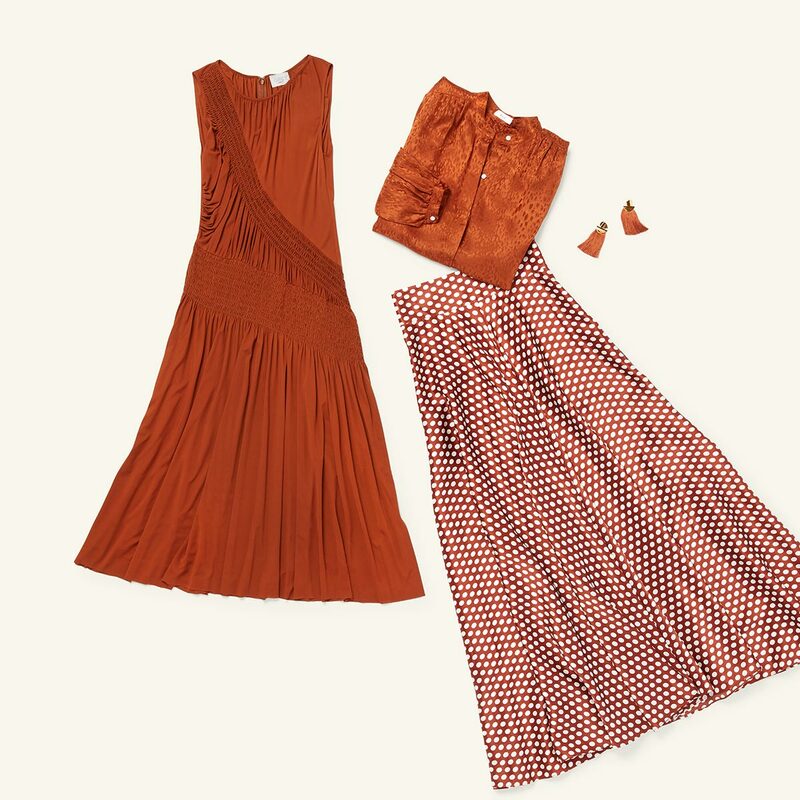 Brown flows effortlessly into sweeping pleated skirts, fringed earrings, and silk blouses with a bit of flounce. Opting for everyday essentials? Items you already love are given new life in your wardrobe when rendered in shades like rich hazel and raw copper. A faux-suede jacket adds an earthy touch to a classic jeans-and-tee ensemble. Tortoise shell earrings dangle between retro and modern, while a V-neck sweater gets a mellow makeover.